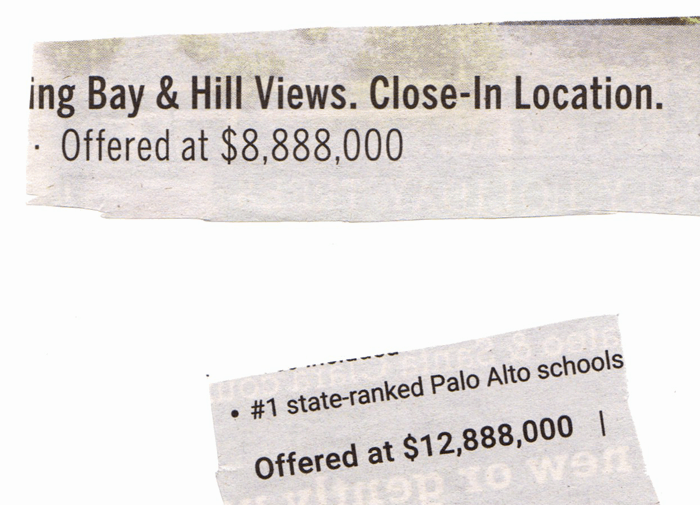 Depending on where you live in the country, you may or may not have any knowledge about Chinese superstition with respect to numbers. . I’ve got a passing understanding of it, which is why real estate ads like these (which I just tore out of the morning paper) strike me as intended for Asian buyers here in the SF Bay Area. A modest storm by US standards is passing over the UK. We have enough snow for a modest selection of snowballs, and I’m planning a quiet weekend in, relaxing while doing no more than an absolute maximum of seventy charts and three videos before Monday. I might light a nice coal fire if the snow lasts. I have more exciting news about SlopeCharts which I did not expect; we now have live streaming charts. To use this feature, just go to the Preferences button and make your choice from this menu (take note that PLUS subscribers enjoy the two faster update speeds).